How might we envision animism through the lens of the ‘anthropology of anthropology’? The contributors to this volume offer compelling case studies that demonstrate how indigenous animistic practices, concepts, traditions, and ontologies are co-authored in highly reflexive ways by anthropologists and their interlocutors. They explore how native epistemologies, which inform anthropological notions during fieldwork, underpin the dialogues between researchers and their participants. 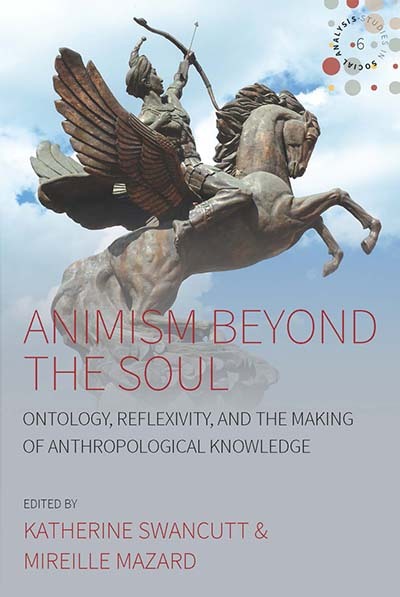 In doing so, the contributors reveal ways in which indigenous thinkers might be influenced by anthropological concepts of the soul and, equally, how they might subtly or dramatically then transform those same concepts within anthropological theory. Katherine Swancutt is a Senior Lecturer in the Anthropology of Religion in the Department of Theology and Religious Studies, King’s College London. She is the author of Fortune and the Cursed: The Sliding Scale of Time in Mongolian Divination (Berghahn Books, 2012). She has conducted fieldwork on shamanic and animistic religions across Inner Asia for two decades, with a particular focus on Southwest China and Mongolia. Her newest work is on the anthropology of dreams. Mireille Mazard is an Independent Researcher who recently completed a postdoctoral fellow at the Max Planck Institute for Religious and Ethnic Diversity. Her area of interest are ethnopolitics and identity among the Nusu of Southwest China. She is currently writing a monograph about Nusu religious and political transformations, which explores their engagement with Christian and Communist ideologies in creating new ontological frameworks for experiencing the world. Foreword: The Anthropology of Ontology Meets the Writing Culture Debate—Is Reconciliation Possible?